Welcome to Glencoe School District 35! …maximize creative and critical thinking skills. …fully challenge and realize physical, social, and cognitive abilities. …nurture unique learning styles, interests, strengths, and pace. …provide a solid foundation for the next phase of education and for learning throughout life. It is housed in three age-centered facilities: South School, grades K-2, with approximately 400 students; West School, grades 3 and 4, with approximately 275 students; and Central School, grades 5-8, housing approximately 600 students. Glencoe School District’s underlying goal is to prepare students for the next step in their academic lives at New Trier Township High School. New Trier has been recognized as one of the nation’s foremost high schools. Articulation among all New Trier sender school personnel is valued and encouraged. 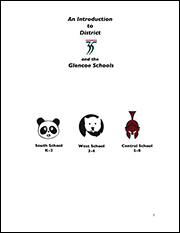 In the late 1970’s, the Glencoe Board of Education chose to reorganize the district from four neighborhood schools to three age-centered buildings. This decision was based on the belief that the District is best served by bringing together all students of a grade level. In addition, age-centered schools afford the best use of facilities, materials, and faculty, all of which can be focused on the particular needs of an age group. The atmosphere established in the buildings, support services provided and programmatic opportunities relate to the specific age spans. District 35 has a seven member Board of Education elected by voters of the community. A Superintendent, Director of Curriculum and Instruction, Director of Finance and Operations, Director of Pupil Services, Assistant Director of Pupil Services, Principal at each building, and Assistant Principal at Central, implement policy decisions of the Board of Education. The teaching staff of approximately 135, many of whom hold advanced degrees, consists of classroom teachers and specialists in art, music, physical education, modern languages, special education, reading support, and library/computer science. A team representing the disciplines of school psychology, social work, speech and language pathology, and nursing supports the faculty. We value the daily opportunities to learn together and support the growth of each child. The District 35 curriculum is broadly based, reflecting an interest in the academic, social, emotional, artistic, and physical development of children. The curriculum is designed for understanding. Clear expectations for process and product are shared with students and families. Integrated, multi-disciplinary units enable the learning of skills and factual information relevant to student experiences. Children build a knowledge base about topics, but also about the framing of questions. They are taught to think critically about stories, number problems, scientific discoveries, and expository text. Through active questioning, children learn to create multiple questions for understanding points of view, opinions, abstract concepts, brainstorming, breaking traditional mindsets, and the use of higher level thinking. 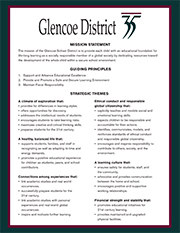 Glencoe’s curriculum is meaningful, coherent, articulated, aligned, and based on high standards. Problem solving and decision making are encouraged through the curriculum and informal situations, such as recess or class meetings in the lower grades and integrated activities at the upper levels. Appreciation of the arts is actively encouraged through a Cultural Arts program realized in conjunction with the PTO. The Glencoe School District takes pride in offering a balanced curriculum that comes to life through the utilization of varied materials and talents. Glencoe is a suburban community with an approximate population of 8,723 (2010 census) located twenty miles due north of Chicago. The majority of residents hold advanced degrees and are typically employed in business or professional fields. The 3.85 square mile village is a highly stable, primarily residential community comprised of approximately 90% owner occupied housing units and having annual mobility rate of less than 5%. 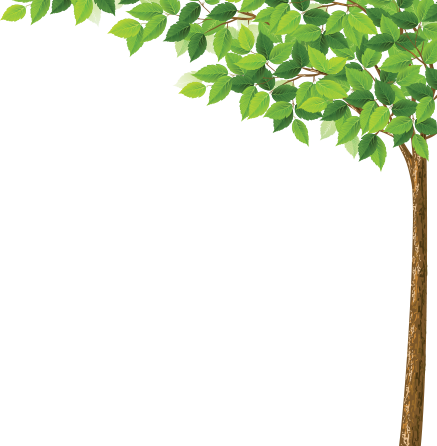 Incorporated in 1896, Glencoe boasts a long tradition of civic and social responsibility which includes generous and committed support of the Glencoe public schools which are valued as being among the villages’ most important resources. In 1997 the community passed a tax rate referendum authorizing the levying of taxes to raise funds for building and technology improvements. In 1999 referenda for operating funds and construction of additional classrooms as well as repair and maintenance projects at each school were defeated. This resulted in the Board’s elimination of approximately $400,000 in various line items of the budget. In July 2000 the Board unanimously approved placing a $2.5 million referendum on the November 7, 2000 ballot and voters approved this referendum for safety, repair, and maintenance projects at each school. In April 2005 the community overwhelmingly approved an operating referendum. The boundaries of School District #35 are approximately the same as the Village of Glencoe making the District about 4 square miles in size.